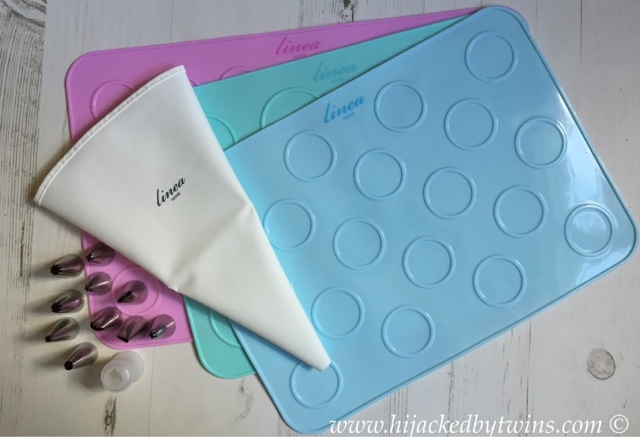 First up I chose the Linea Macaroon Baking Set. Having the ridges on the silicone mats prevents the macaroon overlapping. 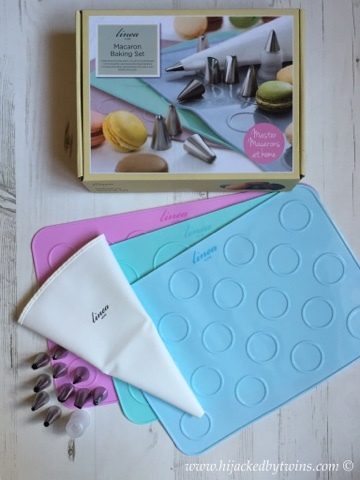 Having this kit, especially with the mats, I cannot wait to have a go at making some macaroons. When I do I will be sure to write about how I get on! Next up I chose these brightly coloured Linea Measuring Spoons. The amount of times I end up hunting for measuring spoons is ridiculous. However with these vibrantly coloured measuring spoons on a ring they are all kept together on a hook on the kitchen wall. 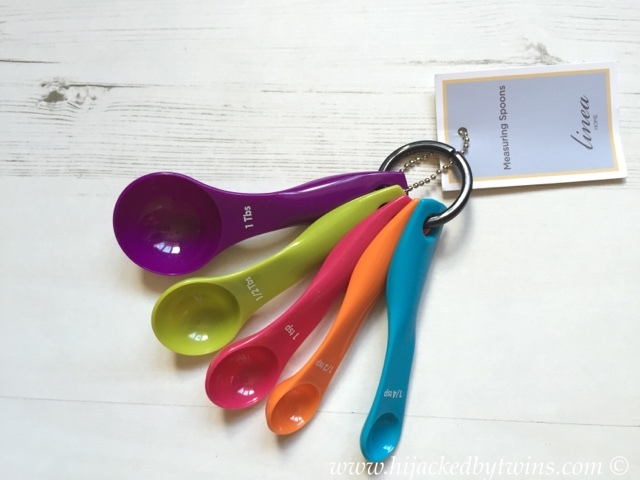 These spoons are a great way to practise colours with the children! 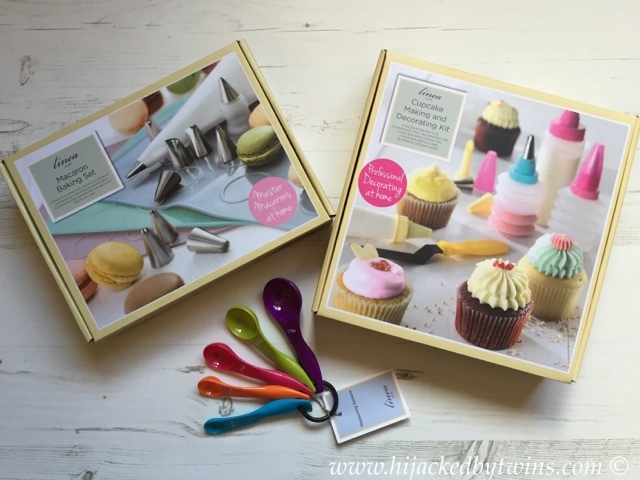 Finally I chose this great Linea Cupcake Making Kit. 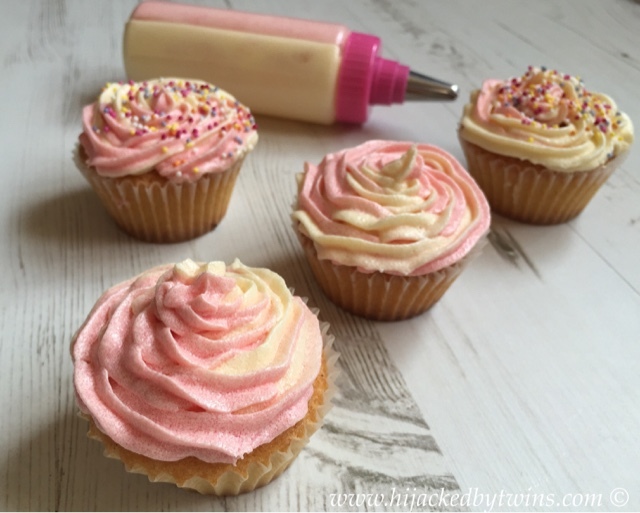 I have found that the children struggle using an icing bag to decorate their cakes but these bottles are so much better for their little hands to handle and use. These little cakes are deliciously light and fluffy on the inside and leaves the top with a crispy texture. 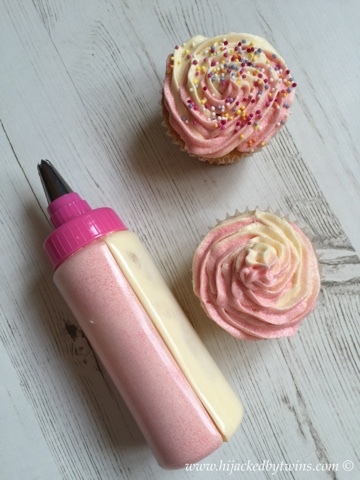 My favourite icing bottle has to be the double bottle. 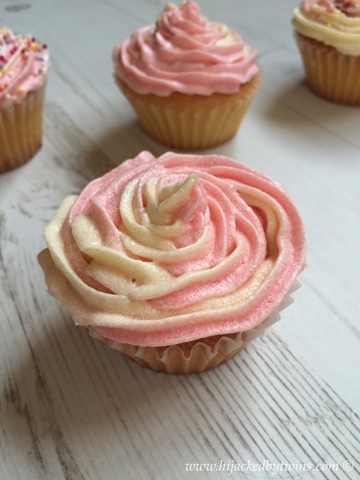 With it you can have a lovely two coloured icing decoration. 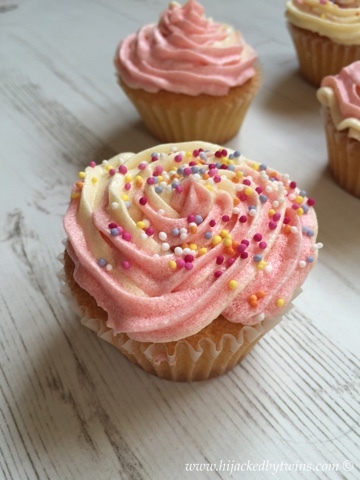 As you can see we went for cream and pink and even added some hundreds and thousands! Disclosure: I received these products for the purpose of this post. No cash payment was received. All words, views and opinions are my own and 100% honest. Gorgeous cupcakes Kirsty, and so prettily decorated. 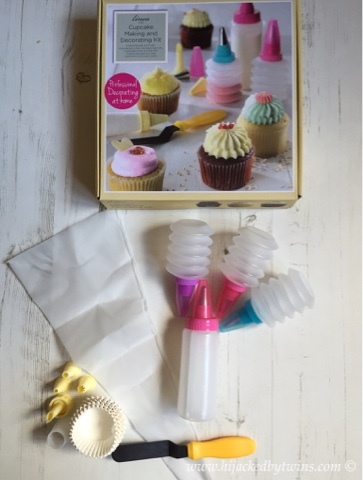 I totally agree that the icing bottle allowing two differently coloured frostings to be piped simultaneously is great. 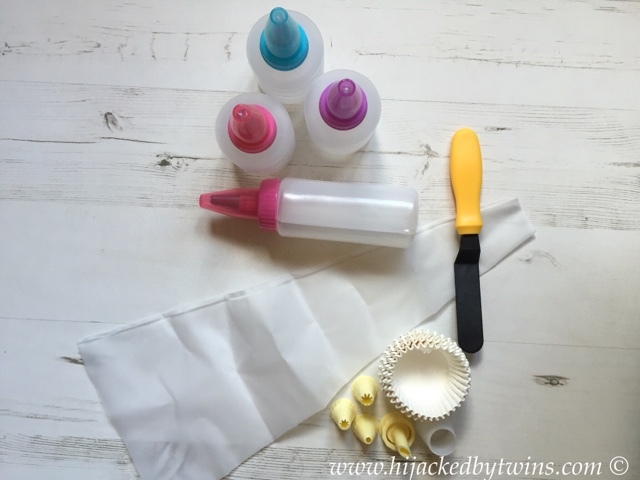 I've tried it with two piping bags sat into a third and although it's do-able it's pretty fiddly.